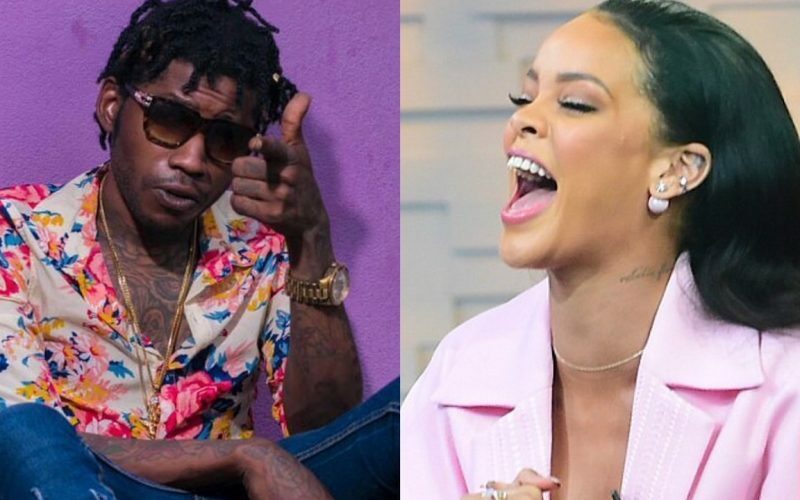 Dancehall deejay Gage is perhaps Rihanna’s biggest fan because he got himself a giant tattoo of the Bajan songstress. 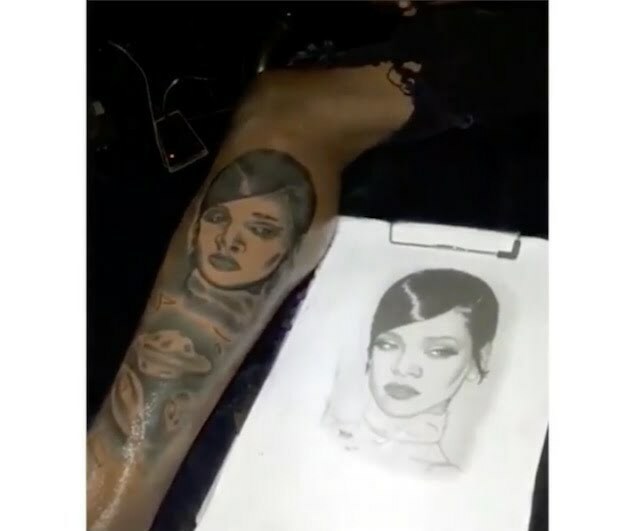 Gage Almighty hit up his favorite tattoo artists recently and got himself a tattoo of Rihanna on his leg. The tat is a portrait of the Bajan pop princess from a few years ago. 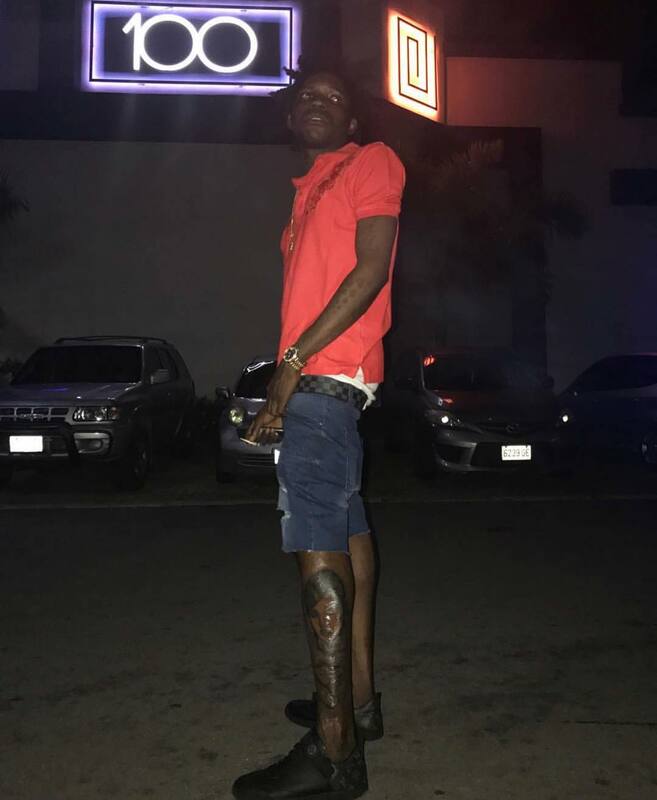 Aside from getting new ink, the controversial dancehall star has been hitting the studio hard in search of his next big hit single. 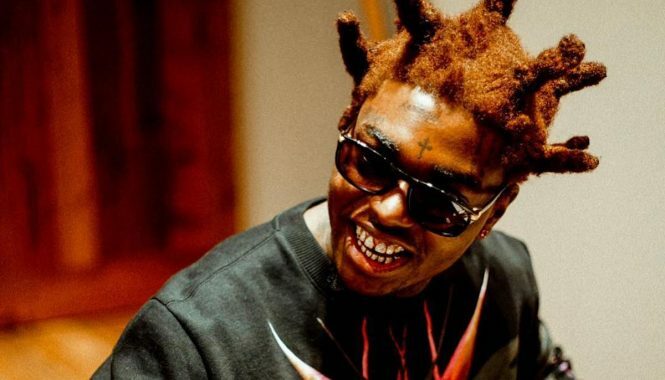 His latest single “World Is Mine” has been getting a lot of attention since its release last month.